Winter has finally set in and it’s pretty cold out there. Do you find it harder to roll out of your bed on these bleak days? If so, you’re not alone. Many of us feel that way. It’s the time of the year when sluggishness and slack sets in making us want to do nothing and go to bed wrapping ourselves in a blanket. As the temperature drops, the days become shorter, the urge to eat more and binge-watch Tv, sets in thus making us less active. While it’s tempting to lounge around the house, gorging on your favorite hot snack when it’s cold, it could also cause serious damage to our health. Wouldn’t it be better if we could use the time to engage ourselves in doing something meaningful, something that’s rewarding as well? Many of us aren’t fortunate enough to have a break and go out for a trip to beat these dark days. We are out to help you. So grab yourself a mug of hot coffee, learn about these hot games that are creating a buzz in the mobile gaming industry. 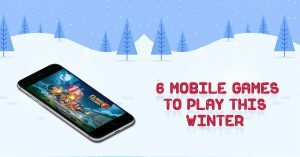 We bet once you learn about these awesome mobile games, you might want to throw your blanket you’ve wrapped around you and reach out to your mobile phones. Clash of Clans is one of the most popular mobile games in the mobile gaming history. No game has achieved the status of popularity as much as the clash of clans. The game is so popular such that it has sparked several spin-offs. The premise of the game is very simple enough, you get to build a kingdom, defend your kingdom against opponents, and loot your opponents to add to your wealth. In the process, you get to form your own clans and compete in some epic clan battles. The massive success of clash of clans proves that strategy based mobile games always have an audience that is growing. If the content is gripping your game will always find takers. In these dark and hazy days, the clash of clans could be the right kind of fodder to stimulate your brain cells. You can download the game for free and make in-app purchases to complete your task quickly. Age of Empires: Castle Siege is similar to Clash of Clans. It’s the game where you’ll get to choose your civilization like Britons, Teutons, and Kievan, build your keep and garrison your troops to defend your civilization from marauders. The game mechanics are mostly similar to Clash of clans. Originally developed on the Windows platform, the Android version of the game was launched this year and has immediately found flavor with the gamers. In the Indian movie industry, Baahubali has developed a cult-like status. To cash in on the huge popularityMoonfrog game studio has developed “Baahubali: The game”. The objective is to protect the kingdom of Mahishmati from various invasions. In this game, you start as a commander and you have to deploy various strategies like creating traps, barracks and garrisoning forces to protect your kingdom from enemy forces. As in the movie, you have characters like Kattappa and Bhallaladeva reprising their characters. If you are an Indian mobile gamer, you cannot afford to miss this game! Call of duty:Heroes is an action/strategy game that has more in common with the clash of clans. The game allows the players to build, develop and bolster their bases ready to face epic battles/ In this game a player can command an army of legendary heroes, and experienced soldiers from the call of duty franchise. Legendary characters like Captain Prince, Walcroft, and many others make an appearance in this game. Amidst the legion of similar games that comes out on Android, Call of duty stands out for its sheer game mechanics. CATS: Crash Arena Turbo Stars is an action-packed game where you will have to use your engineering and designing skills to build a perfect battle machine to beat your opponents. In this game, both the player and their opponents are cats. It may sound funny once you get into the game, you may have to get through some savage moments. It is purely strategy based as you would have to perfectly craft your battle machine to decimate your opponent cats. The cute part, however, is a cat which pops up every now and then to guide you throughout the game. If you’re someone who is interested in playing card games, then you can try playing online rummy. 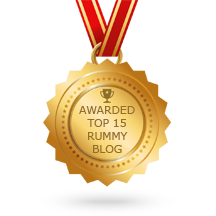 Rummy is a game that requires a combination of skill and strategy to succeed. 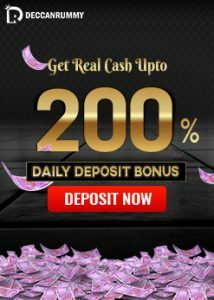 There are numerous rummy apps available in the play store/APP store that will allow you to play rummy for real cash these days. Not only is the game entertaining but also very rewarding. With a proper rummy app, you can play rummy on the move and make every moment of your life interesting and rewarding. 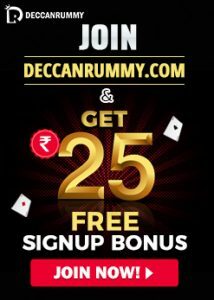 Rummy download apk is FREE and offers a hassle free way of playing rummy online. Try any of these mobile games listed above and tell us which one worked for you.